My WI journey started 4 years ago – I’ve always been a bit crafty, pottering with paper here, creating with sugar there. I’d just learnt to knit and was hooked! (Sorry!) Me and my good friend were chatting about how we wanted to be challenged, we yearned to learn more (God knows why, she is a much better knitter than me!) We had previously searched for WI’s in St Helens but none really grabbed us – I’m afraid we were quite ageist and wanted something younger. So we muttered the words … ‘We could start our own WI’! Well one tweet later and a reply from Lancashire WI Head Office and we had an advisor on her way. We were warned that to be viable we needed 20 members – Oh my god, we asked EVERYONE that we knew. We were one short step from paying people to attend this meeting. We researched venues, we thought about speakers and we still kept on asking people if they were interested. 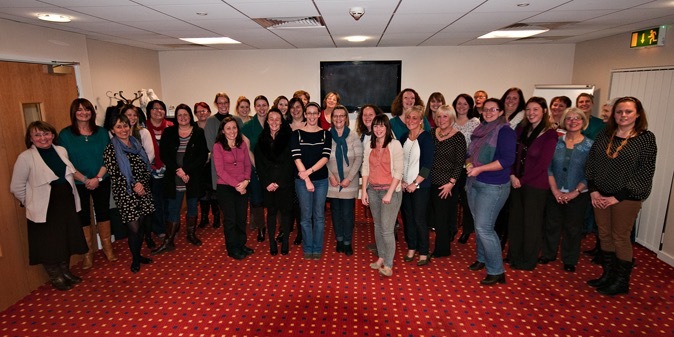 Our first pre-meeting arrived in November 2011 (I had a 9 month old at this point – what was I thinking?!) Somehow I had ended up being President and was oh so nervous! We had 25 people and our advisor was lovely. She started by telling us how important the WI was to her, this body of women had kept her going through losing her mum and husband within a few weeks. We were more enthused than ever. 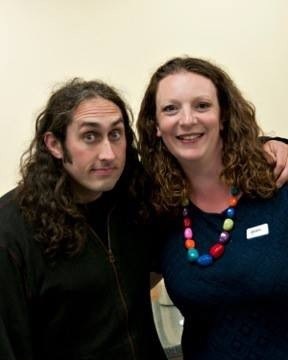 January 2012 came and we were quaking – would anyone turn up? Well they started arriving, and more came … and yet more – We had 40+ women in that room all eager to learn more (and no, we still hadn’t paid them!) By 9PM WISH (W.I ST Helens was formed and a new committee was born) And the rest is history – well sort of. 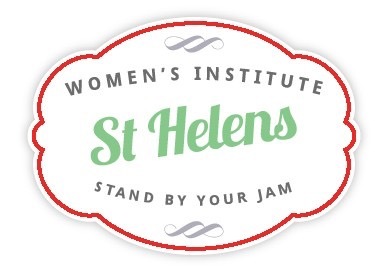 We are still thriving 4 years later – We have capped at 100 members, We have a new venue, We have learnt to become part of the St Helens community … and we’ve even got to know the other WI’s in St Helens! So what about me? I stepped down as President in October 2013 but took up the role of Secretary. I enjoy it far better – the President role was not for me with 3 children. I’ve learnt to knit (better), I can crochet, I’ve painted on Silk, I’ve painted on Pottery. 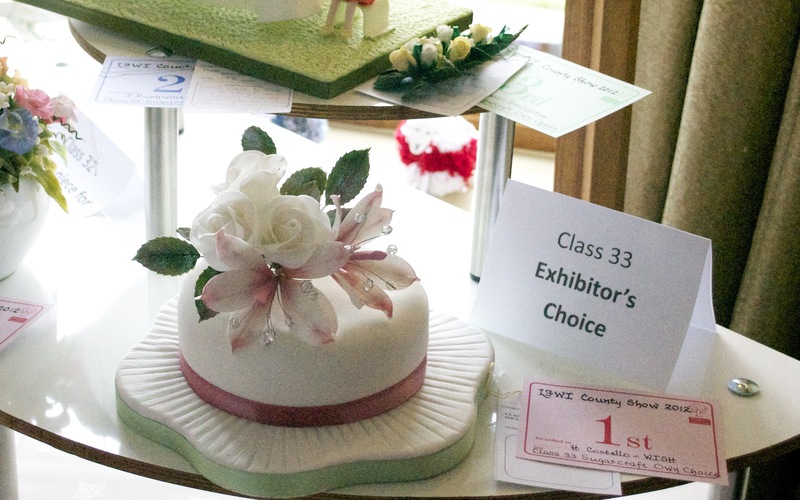 I’ve won at the Lancashire County Show (Cake categories). I’ve baked and eaten far too many cakes. I’ve met countless new friends – Friends I’d like to think I will know for the rest of my life. Its not all been plain sailing – I’ve found out that we women don’t always support each other as we should. I’ve been hurt but have bounced back. I’ve been stressed. I’ve considered if it was worth all the hassle? But it most definitely is! I like to think my WI story will be a long and varied one. I’ve loved hearing about other WI members and what a difference being a member has meant to them. oh wow Helen, I love learning something new about someone. What an amazing story, I would love to join. I am going to look it up. oh Helen I’m so envious I’d love to join a WI , but I’m too shy and I don’t think there’s one near me ! Oh Emma, don’t be shy – They would love you to join them. Before you know it, you would be involved in all sorts of activities!